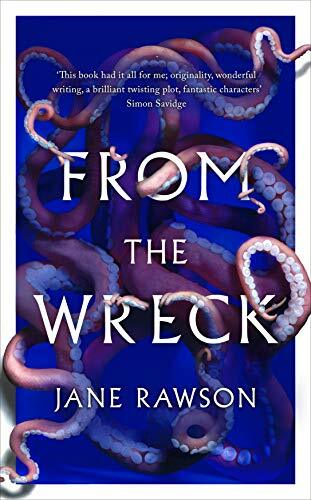 From The Wreck by Jane Rawson is for me an unusual book. I don’t think I’ve read anything quite like it before. George Hills is wrecked on the steamship Admella where he was a steward. He was one of very few who survived. The person who he survived with – female – disappeared shortly after they were rescued. Interesting anyway and more so as so far it is the story of an ancestor of the author. Then the story gets rather different! From The Wreck follows George’s life and that of his family. It also features the persona who vanished and appears again from time to time. What was it that George came across after the wreck and what are the consequences for him and his family? I thought that the writing here was excellent. Evocative and mysterious it created a great atmosphere for this intriguing tale. It manages to be warm at times and quite chilling at others. There really is an other worldly feel to this sometimes. The characters are well worked and felt real to me. From The Wreck is not a long book and I think better for that. One of those cases where less really is more. There is room for the reader to think about this tale in the broadest way. It is quite a hard book to review without giving things away. I would prefer the reader to follow their own journey through this tale. For myself I thoroughly enjoyed reading it – it certainly deserves to won an award as a Sci Fi novel in my opinion.